The tree destined to become Rome’s 2017 center of the festivities of Christmas hasn’t made it. 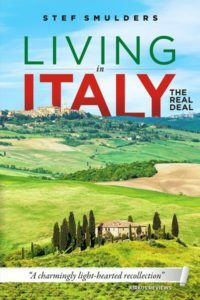 Non ce l’ha fatta, as the Italians say. Okay, it was dead already at the departure of its 600 km long journey from the Valle di Fiemme in Trentino. That because it could not be transported with the roots intact, so it was cut off at the base. But that should not have prevented the tree to last till after New Year, which the same type of tree does each year. What went wrong? According to the company that sold the tree, the people responsible for unpacking the tree are to blame. They probably damaged the branches to such an extent that the tree died much quicker than normal. 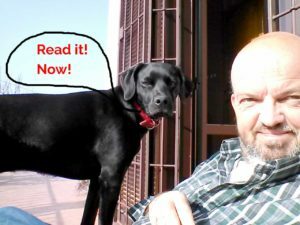 It is a really sad sight now and the Romans call the poor thing ’spelacchio’, the bald one. 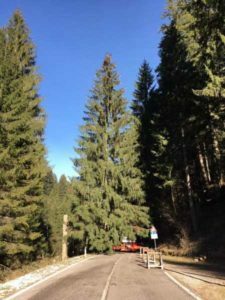 Meanwhile it cost them 48.000€, mainly for transport from the valley in Northern Italy famous for the abete rosso di risonanza, the picea abies or Norway spruce. Even Stradivarius got the wood for his famous violins here! It takes a tree 150 to 200 years to grow its trunk to a size that is enough for a violin to be made out of it. That explains at least part of the exorbitant prices that are paid for these violins. Rome is not the only city to have chosen this type of tree for Christmas. 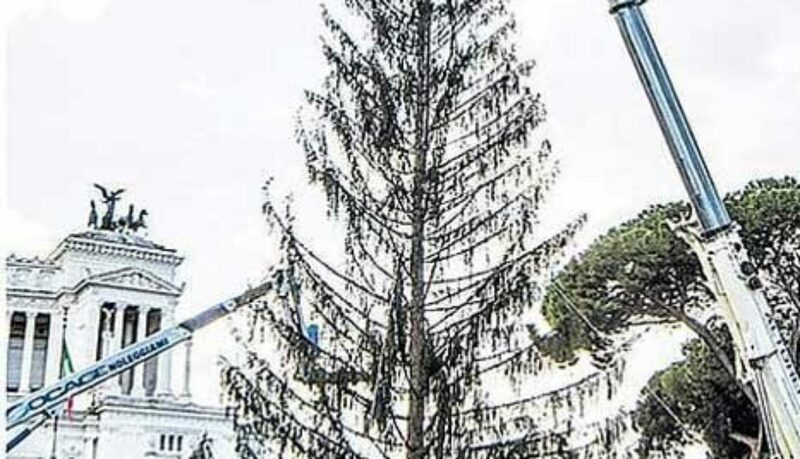 Milan has the same sort of tree from Trentino and the Norwegian capital city, Oslo, provides the cities of London (the Trafalgar Square Christmas tree), Edinburgh and Washington D.C. with a Norway spruce as well, so its health should not have been a problem. 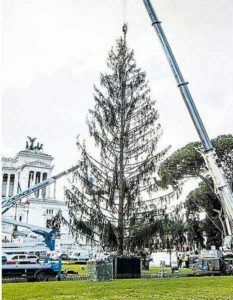 The firm Ecofast Sistema responsible for the installation of the tree definitely has something to answer for, as well the mayor Raggi of Beppe Grillo’s Cinque Stelle movement who has had such a rough start already.